This Blog Candy has even took my breath away! It is worth £299.00 and I think you will agree it is an amazing prize. My lovely boss at La Pashe has given me a Quickutz Silhouette to give away to one lucky person on my blog. I can only offer this to post out to a UK address. 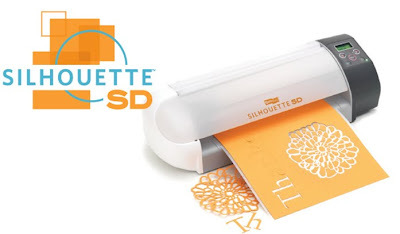 The Silhouette Digital Cutting Tool is your gateway to creative freedom. This vinyl and paper cutter plugs into your computer giving you access to all of your favorite fonts and shapes at anytime, in any size. To enter this amazing Blog Candy you must Live in the UK or have a UK address that the prize can be posted to,due to the size and weight of the prize I cannot ship International (sorry). Leave a link on your blog about my Blog Candy and add the details below in Mr Linky and then a comment in my comment box under my signature, this is the only way to enter for the prize. The Prize will be drawn on Friday 30th October and you must leave your details on my blog by Thursday 29th October. WoW Jak this is just amazing candy. Thanks for chance to win. Will pop a link on my sidebar too for you. Wow Jak! That is so so generous!Everything crossed here. Thanks Jak for the chance to win this amazing candy I have posted on my blog with full post & link..
Wow Jak, what fabulous candy. I have put a post on my blog and my fingers and toes are all crossed. wow what generosity, for once I am glad I live in the uk, lol. have put a link in my side bar. Wow! What an amazing prize! Thank you for the chance to win! I will post a link on my sidebar. Wow, wow, wow, this is the most amazing candy I have ever seen. I've been wanting to get one of these for ages. I would love the chance to win. Everything crossed and off to post it on my blog. What an amazing Boss. What wonderful blog candy. Will put the link on my blog. Good luck to everyone. Wow this is amazing, I've posted on my blog and linked the post to Mr Linky. Oh Flippin' 'Eck Jak this is amazing!!!! Have all that can be crossed - crossed lol!!! Thank you so much for a fantastic opportunity. Wowee what wonderful candy you have and such a wonderful wonderful boss for giving it to you just to give to us. I have it linked on my sidebar (in date order). Thanks Jak for the chance to join in. Great candy. Good luck to everyone. Thank you Jak for this wonderful candy and Thank You Jak's Boss for supplying such a fantastic prize! Good luck everyone, Im sure there will be thousands trying to this great prize! Ive linked you top in my side bar. Wow...Wow...Wow, what a fabulous give-a-way for one very lucky person. Fingers and toes crossed lol. Those folks at La Pashe are so generous. What an amazing giveaway. Really had to get my name entered in this draw. Wow...how lucky you UK people are. What a generous boss..Jak. Fantastic Candy the best I've ever seen. Thanks to you and your boss for the chance to win. Off to post about your candy on my blog now. Hello Jak, only just found your blog so I guess I'm a bit late for the draw, but wanted to let you know I find your blog wonderful and have become a follower. Blogging about your blog now. Wooow, fantastic gift! Thanks for the chance to win. I am speechless!! This is a very generous giveaway, and yes I would love love to win it. Thanks for the opportunity and a great blog. Thank you for the opportnmity to win some seriously fab blog candy, this goes way beyond generous but I can't think of another word for it! I have linked you in my side bar. wow I've done something I have never done before and added a link. Love the blog and like to see the things you have made. Also like la pashe and have made some of them int an altered book will have to put pictures on my blog. Wow Jak that is amazing candy !!! I've posted about it on my blog and will also put a link in my sidebar for you. To win this would be fabulous - I'm keeping everything crossed !!! Candy... this is more like the largest chocolate bar ever!! Makes me drool just thinking of all that... chocolate!! Love your blog too... you keep inspiring me regularly! Beautiful blog, beautiful prize...thank you! This candy would be absolutely amazing to win! Thank you for giving us a chance to win it! I know I live in Spain Jak, but if I was lucky enough to win, then I would come and collect from a UK address. Hope that is allowed? Thank you so much for spoiling us! Oh wow this is just an amazing machine....and to have a chance to win it is just unbelievable. Oh my goodness, how cool are you? and how cool are your bosses! I live in Spain but Mum is still in the UK so I qualify Yay! I have to say that this is the best candy that I have ever seen, I bet you will get tones of exposure, and I'm heading straight over to Flippin' La Pashe to check 'em out! I have you in my Candyland blog and will blog again when I next post on my craft site - double exposure from me!! Thanks a million. Oh my goodness this is the most amazing blog candy I have ever seen! I can't believe you are giving this away! I am keeping my fingers and toes crossed I win this one! 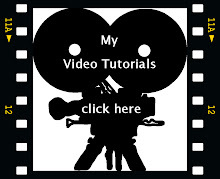 I have put a link on my side bar for you. What an flippin' amazing boss you have, so generous. I have added a link to your candy in my side bar. Hoping this will break my duck and let me win my first blog candy. WOW Jak, How generous- you must have been a good girl!!! Thank you so much for the once in a lifetime chance to win something as marvellous as this. Hi Jak Wow what a fabulous prize your are offerinG.Thank your boss also! Your work is still sooo amazing I am always in awe of you! Love the Christmas cards you have been making. Great prize. Thanx for giving us the oppotunity to win it! Excellent candy. Thanks for giving us the chance of winning this. Can't believe this candy Jak, truly amazing, lets just say, I'm keeping everything crossed, boy would I love to win this! What fantastic candy Jak! I visit your blog everyday you are so inspirational. WOW! That's amazing blog candy Jak. Unfortunately I don't have a blog but I just wanted to wish the rest of the 'bloggers' good luck for Oct 29th. Your blog is fantastic Jak and always look forward to seeing your new creations. Keep up the the wonderful work. Wooooooo - how generous is this! Have placed a link in my sidebar. I'm seriously blown away by this blog candy! This is sooo generous!! The winner will be so lucky....I would so love to be the lucky one as I have wanted one of these babies for forever! That is amazing Jak and you have a very generous boss. Good luck to everyone. thankyou for the chance to win this. Wow what a great candy and such a fabulous boss. Thank you for the chance. I have had a lovely time looking over your blog and will be back lots from now on. What awesome candy from an awesome crafter! Thanks for giving someone the chance to win this very generous prize. Fabulous candy Jak..and such a generous boss! Thank you for the chance to win. What a fabulous and generous offer, sitting here with fingers crossed. what a once in a lifetime offer !! fabulous!!! THANK YOU SOO MUCH FOR THIS OPPORTUNITY !! Thanks for the chance to win this candy and thanks to your very kind boss ! Just joined the blog world but have followed your fab blog for ages now. I will add a link to minw when i work out how to do it - lol. What fantastic candy Jak. This looks amazing. Thanks so much. I have put a link in my sidebar. Wow...I can't believe you are giving away such a fab prize, your boss is generous. I have done a lovely post on my blog. linking to you. What a FANTASTIC prize!! Thanks to you (and your boss!) for offering this lovely prize. What an amazing candy prize - someone is going to be very lucky indeed! Will add you to my candy box! Hi what a wonderful offer. Love your snow scene card the embossing is very effective and having just the 2 colours works well. Love all your flippin and remember images, keep up the good work. Wow fantastic candy Jak.....What a very generous boss you have. Thanks so much to your very generous boss. Wow amazing candy!!! One of the few times I'm glad I live in the UK lol!!! Have popped a link on my sidebar. woah - that is some serious blog candy!!! Your boss is very generous indeed!!! I have never entered a blog candy before, so fingers crossed for first time lucky. I love you blog and have it on my blog roll. Wow, amazing blog candy! Thanks for the opportunity! I have posted a link to your blog on my side bar. what an amazing prize - someone will be having a very very happy Halloween - if perchance it was me I'd walk to your house if necessary to claim such a fab prize! Can't believe what great candy you are giving away. Someone is going to be very lucky! Thanks for giving us a chance to win. Gosh, this is extremely generous. 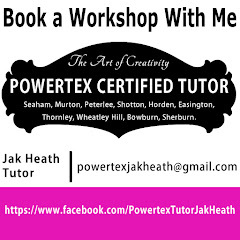 I have left a post on my blog and linked through to your blog. Wow fabulous candy, what a generous boss! have popped a link on my sidebar. What fabulous candy. Thanks ever so much for the chance to enter. I've posted a link in my sidebar. truly amazing candy! thanks for the chance to win! Wow what amazing candy. Thank you for the chance to win. Have posted on my blog. I have put a pic and little write up in my side bar under - Candy Box. What an amazing blog candy prize !! Thank you so much for the opportunity to win something. I hope I shall be luck. It would be so amazing to win this. Thanks for the chance. Wow! what amazing candy. Thanks Jak for the chance to win it. It would make my day, month, year to own a Silhouette. I link you on my blog on side bar. how fabulous is that for candy!!! new to this blogging business so hope i've linked it all correctly! Wowee! Amazing Candy -just in time for Crimble too? I never win anything but thought I would have a go! What fabulous blog candy. I wouls sooo love to win! Hi Jak lovely candy, say fankoo to your boss. Thanks to your boss - how amazing. What a stunning prize....I am no techno but i'd sure make an effort if I won this!! Wonderful that it's open to UK only..makes a nice change and gives us more of a chance tee hee!! wow! thanks for giving us an opportunity to win this! Thanks for offering this Jak, Lovin your Christmas blooms too. Fingers Crossed! have linked in my side bar, what amazing candy!!! Wow! what a fabby piece of blog candy. Someone is going to be very lucky. I've linked on my blog. Oh wow - what an amazing prize! Fingers crossed! I've linked on my blog. What a fantastical blog candy prize!!! There's a link on my blog in the side bar. Thanks. Fantastic blog candy, I've put a link on my blog. wowzer what a give away... cheers for the chance to win such a wonderful machine...!!!! What a wonderful prize. Than you for offering this Jak. Good luck everyone. Wow what fab blog candy someone is definetly going to be a lucky person. Wow Jac what a prize, oh how i'd love to own one of these beauties. Thanks for allowing me this chance, love your blog yours works are awesome. What an amazing prize. I have yearned for one of these for a long time. Good luck to everyone who has entered and I hope the winner enjoys using this brilliant machine. amazing blog candy, love your blog have put your link on my blog in side bar. I have my fingers, toes & eyes(!) crossed lol. Thank you Jak, brilliant candy. Wow, what amazing blog candy, thanks for the chance! Linked in my blog. Fingers crossed! Have just found your lovely blog Jak, and couldn't believe what fab. candy you are offering, so of course I just HAD to enter!! I will now add a link to my side-bar. Good luck to everyone! Wowee! This is a fab prize. Found you through the blog hop on Digital Pencil. so glad I did. I'm now a follower. Oh my goodness, what a generous boss you have. I could never afford one of these machines so thank you both for the chance of winning. this is so nice! i want one. Love your blog that I just discovered this morning and will be subscribing. My blog updating is not to good and I must work on it harder. I think I did what you asked and posted a link in my blog. Please let me know if I did it wrong ??? I love to share great blogs and yours is. I am in France but do have an address in the UK. What a coincidence!!! I had just come from another site that had really whetted my whistle for one of these cutters! And behold, when I came onto your site I just couldn't believe it was posted as a prize on it!!! So here goes, am wishing to all my Angels and good spirits (Well, it is almost Halloween!) That I may be lucky!!! Wow Jak, thanks for this great opportunity - I hope I'm the lucky one! I am green with envy, I don't have a blog.